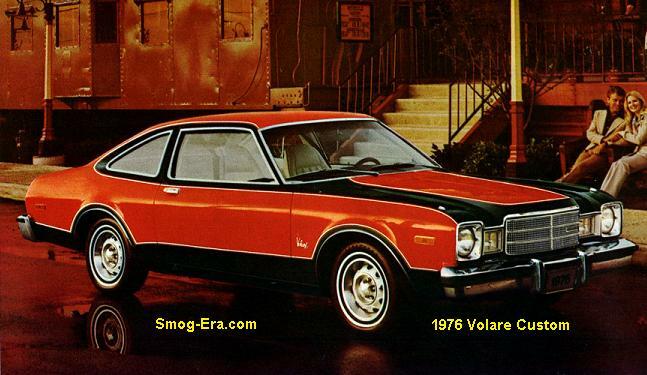 Like its cousin the Dodge Aspen, Volare was sold from the 1976 through 1980 model years. 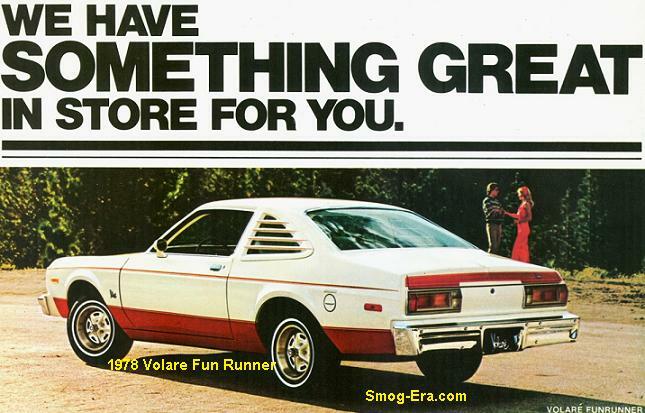 The Volare overlapped the Valiant and Duster for one year, both of which it replaced. The platform under it was Chrysler’s F-body. Wheelbase ranged from 108″ on coupes, to 112″ on sedans and station wagons. Besides the base model, two other trim levels were sold the first year. Volare Custom added rear armrests, woodgrain instrument panel, cloth/vinyl seats, exterior molding, plus a cigarette lighter. Volare Premier which added power brakes, power steering, day/night mirror, accent stripes, chrome grill and clock. Road Runner was around too (watch for separate R/R section). Engine choices for 1976 were quite varied. Base power was provided by a 225 CID 1bbl S6 making 100hp. The starting point for more cylinders was the 318 CID 2bbl V8 which made 150hp. At the top of the chain was a 360 CID 2bbl V8 making 170hp. For 1977, several additional groups were now available. New this year was a t-top option for the coupe. The Fun Runner coupe was new which added painted mag wheels and side window louvers. 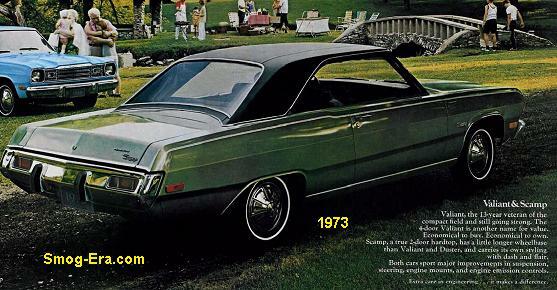 Also for the coupe was a Sun Runner package which included the t-top or a sunroof. A Front Runner package was new this year too. It came with a Spitfire Orange paint color, accent striping, front/rear spoilers and wheel flares. there was also a Space Maker Pak offered which was a fold down rear seat. These packages could all be mixed and matched to a point. 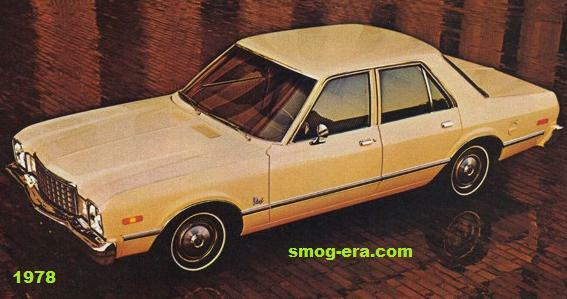 1977 also added a fourth engine choice, which was a 225 CID 2bbl S6 that made 110hp, and was known as the “Super Six”. Horsepower on the 318 2bbl dropped to 145 this year. The 360 2bbl dropped to 155hp. A fifth engine was added which was a 360 CID 4bbl V8 making 175hp. In 1978, the 318 2bbl dropped more horsepower, down to just 140. All other engines retained the same power levels as the previous year. In more news, two new packages were added for this year only. These were a special bunch and have definite collector value even right now. First was the Super Coupe. The S/C added 15×8 wheels with GR70x15 Goodyear GT radial tires, rear sway bar, H.D. suspension, fender flares, spoilers front & rear, louvers on the quarter glass, blacked out trim, extra striping, plus the 360 4bbl standard. Only one color was available which was called Crimson Sunfire Metallic. Next up was the Street Kit Car, which was a tribute to Richard Petty’s NASCAR career. The car was even endorsed by him. It started with the Super Coupe but with a few differing features. The wheels had no hub caps, leaving the lug nuts exposed. The rear spoiler was bigger. The fender flares were bolt-on examples. The paint was a unique two-tone blue scheme. 1979 added two more option groups. 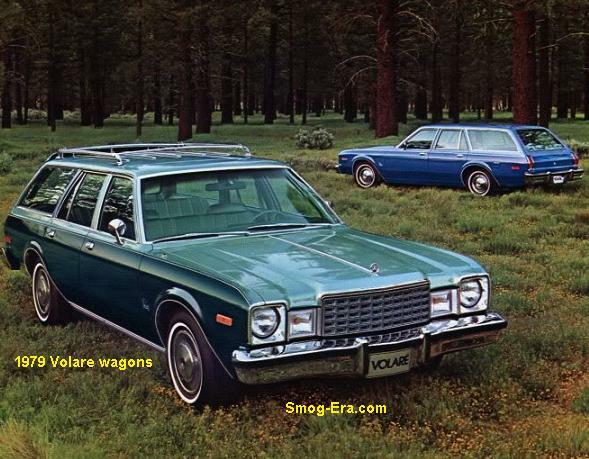 The station wagon got a Sport Wagon option, which added features similar to what was on the Super Coupe. Also added was the Duster (watch for complete section on this car). There was yet another drop in the 318 2bbl’s power to 135. This year the 360 2bbl was dropped, but the 360 4bbl climbed all the way to 195hp. In 1980, Volare Premier was back, plus a new six cylinder budget model called Volare Special. The 225 2bbl was dropped, and the base 225 1bbl dropped to only 90hp. 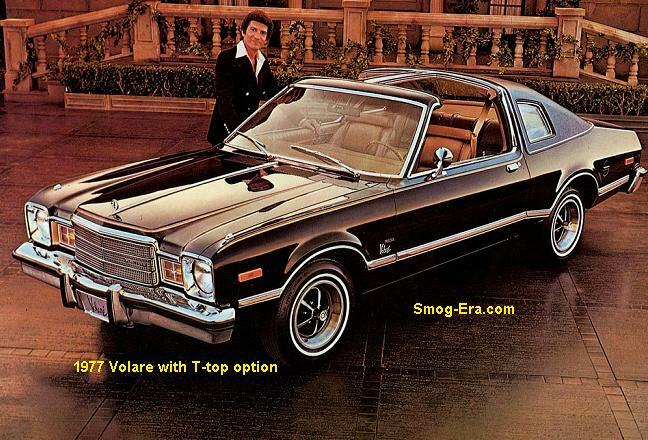 The Volare was left with just one V8 option which was the 318 2bbl one last time, and its horsepower sunk to an almost comical 120hp. This year was also the Volare’s last model run, and it received rectangular headlamps for its swan song.